Laurie McIntosh is an Assistant Professor in the Department of Cultural Anthropology at Duke University. She holds a Ph.D. in anthropology from Harvard University. 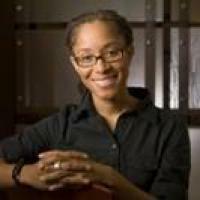 Professor McIntosh specializes in the anthropology of Europe, migration, critical race and gender studies, and film and visual studies. Her research explores the ethics and politics of immigrant integration policies, state governance and moral experience, the epistemology of global aging, and the ideological mainstreaming of extremist political movements. Her ongoing projects investigate multiculturalism in Norway, the detention and expulsion of asylum-seekers in Spain, and a comparative exploration of elder subjectivity and sociality, transborder citizenship, and the politics of care amongst aging populations in Europe and Canada.